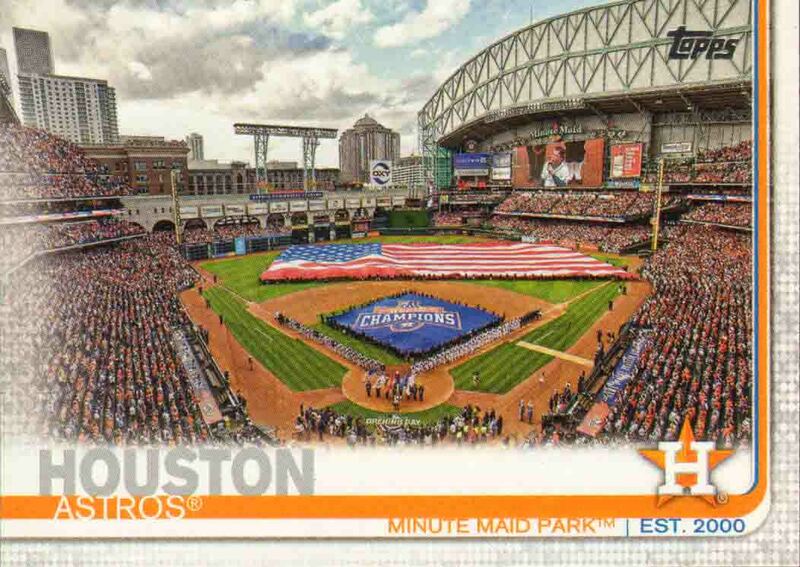 I still get excited for the release of Topps' Series 1 flagship set every year. It marks the start of the new baseball card year and the baseball season. Sure we get a lot of players that have moved on to other teams in the off season still featured with their old team, but it's new. 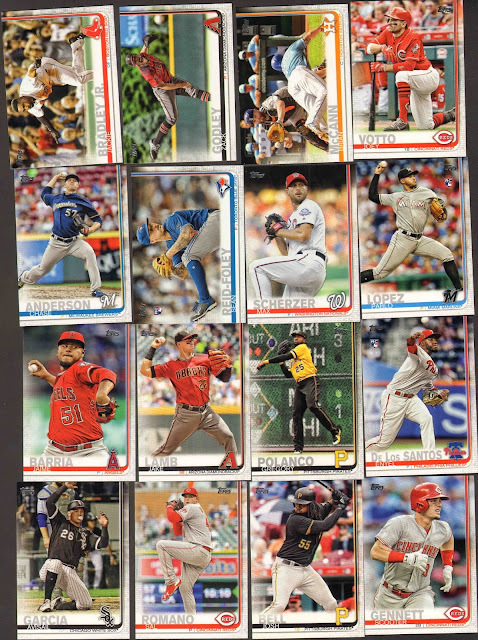 I ended up stopping by my LCS, Boscos, here in Anchorage on my lunch break and decided to splurge on a jumbo pack. What really surprised me was how few inserts were in the pack. Usually the jumbo packs have 8 to 10 inserts and parallels. I have a vague recollection of some twitter chatter about the subject, but it kind of bums me out. 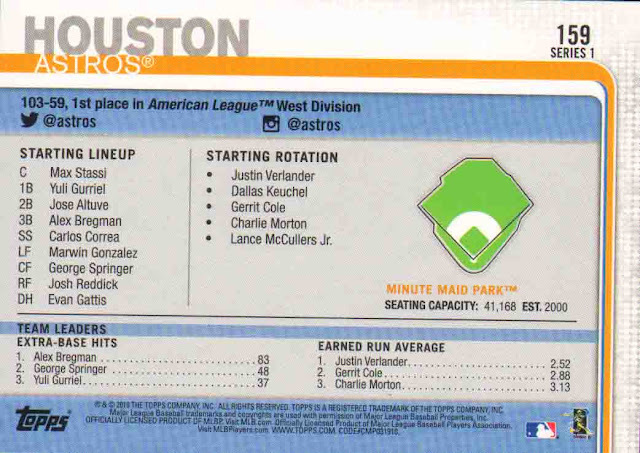 The main reason for me to grab a jumbo pack was to get a nice sampling of the inserts. So while I had hoped to do a nice run down of the set I'll be pretty limited with what I pulled. I will say I wasn't sure what to think from the preview images, but in hand the cards don't look half bad. There is some really great photography and I'll highlight some of my favorite cards in the pack. 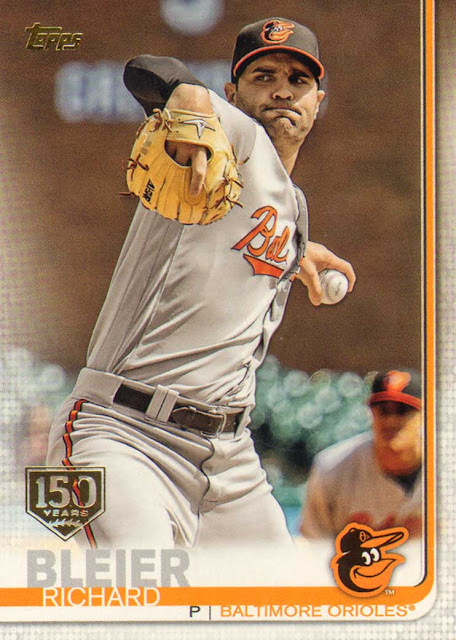 There is still plenty of basic shots of pitchers pitching, guys throwing, and batter's hitting. Topps also brought back full stats on the back of the cards! Looks like enough collectors complained and Topps finally listened. 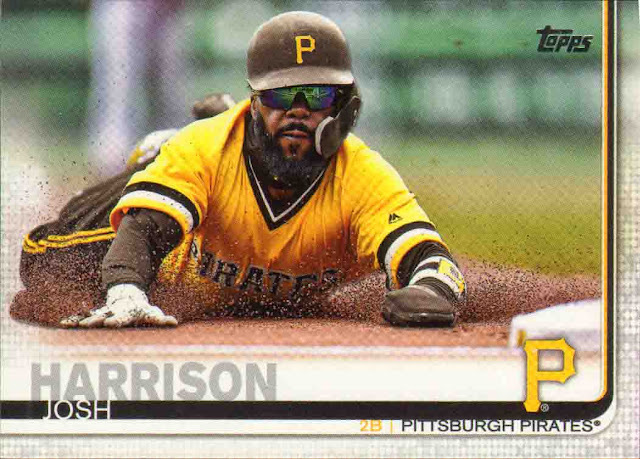 My favorite card out of the pack is this Josh Harrison slide. Here's a look at the backs. Overall the basic design works really well on the back. 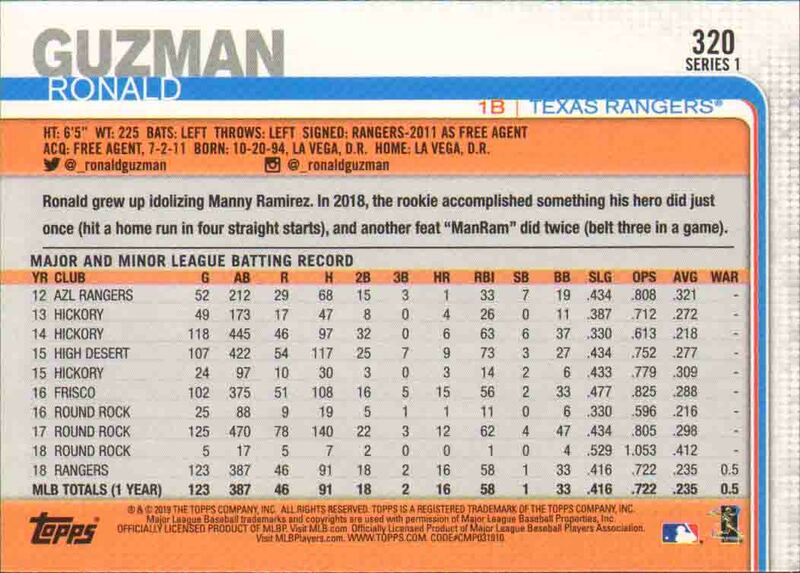 I'm still not sold on the last name first and Topps didn't really need the Series 1 under the card number, which would have allowed them to make the card number larger for us older guys. Basic bio info, a small blurb, and full MLB stats for the vets. 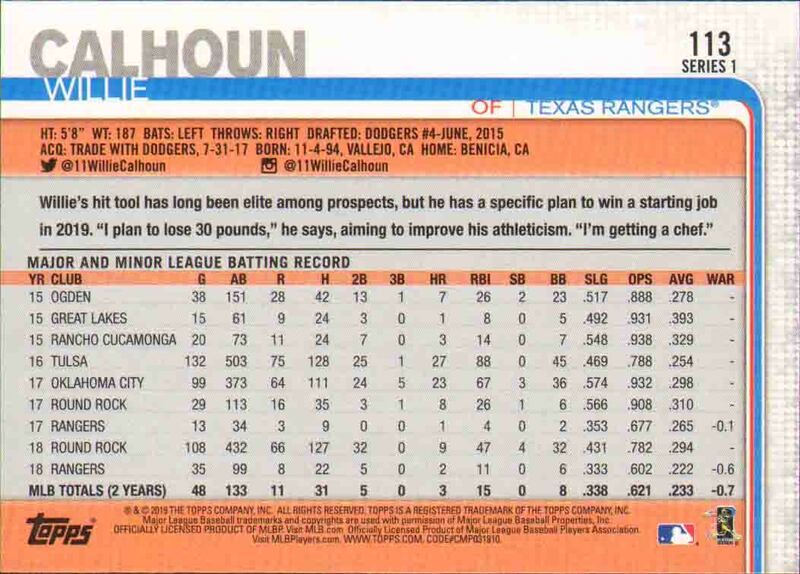 Topps included minor league stats for the younger guys. 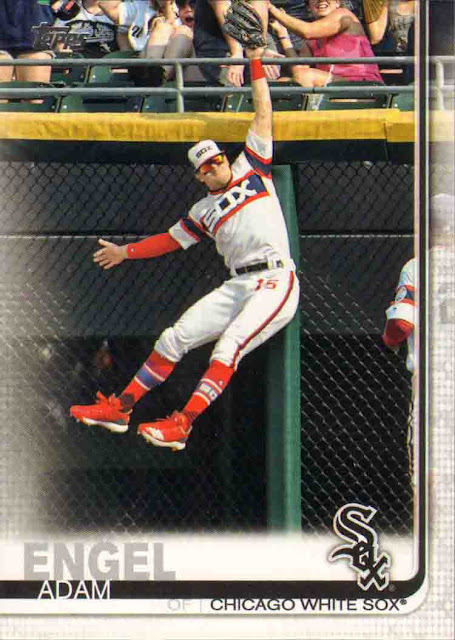 Here are some more of my favorite shots from the base cards. Nothing like a play at the wall. This year's Future Stars are rainbow flavored. 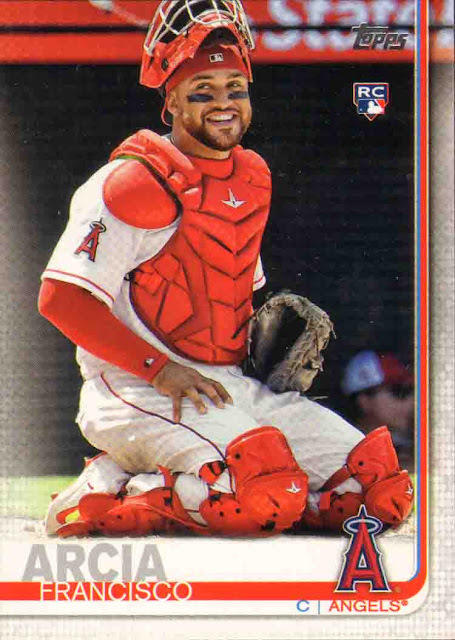 Topps did a nice job placing the player in front of the logo giving the card a little more depth. 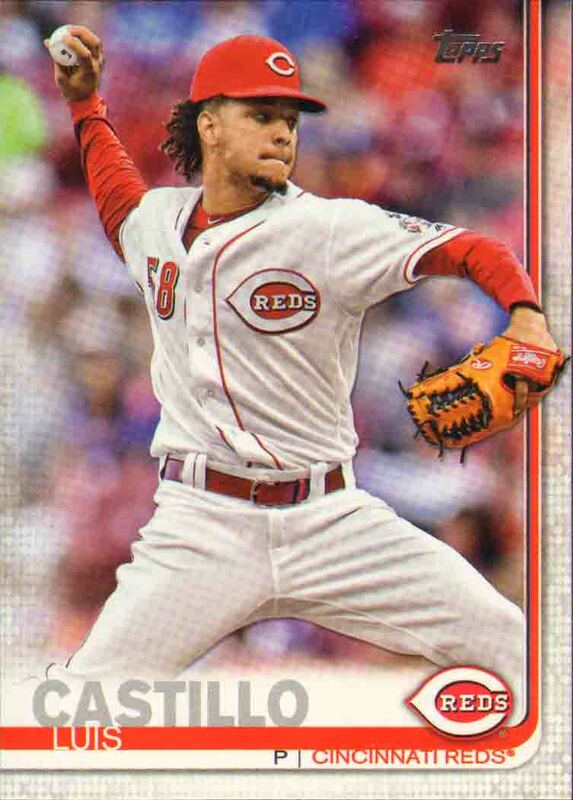 This Luis Castillo is the best example out of the pack of Topps breaking the 4th wall and I like the attention to detail of the player in front of the border. 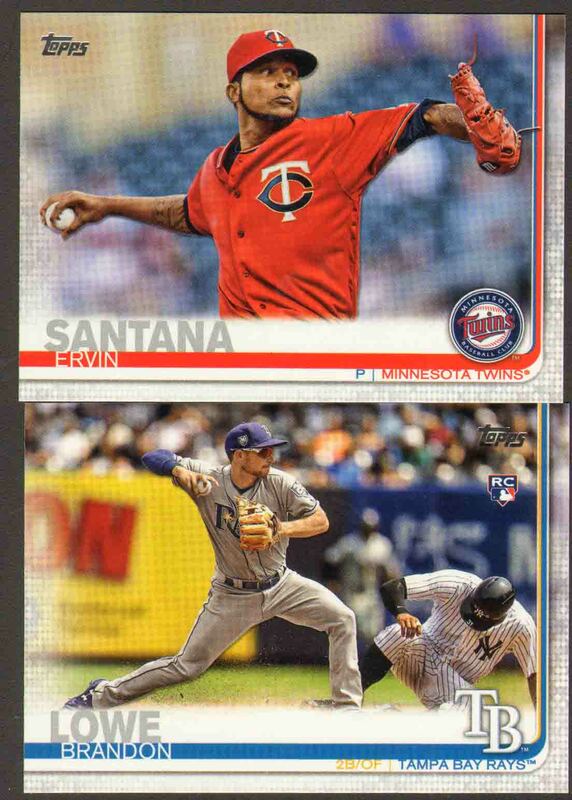 Topps didn't do this for most of the cards, but if you look you can find some other nice examples in the set. 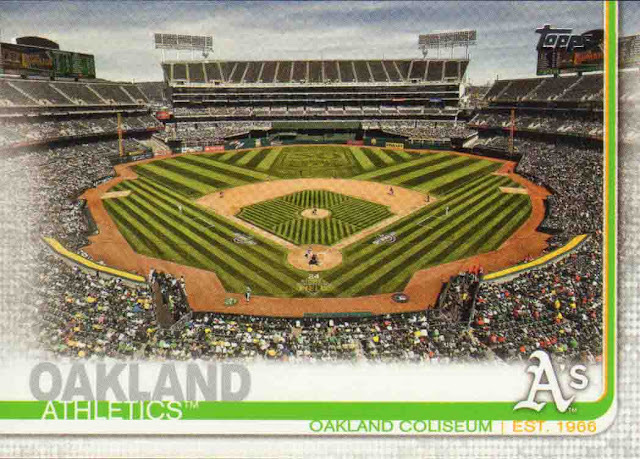 The other thing that jumped out at me are the great stadium shots Topps used for the team cards. 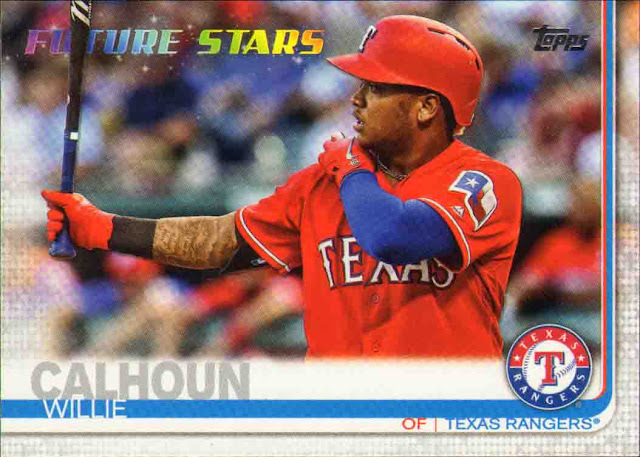 It would have made for a great insert set, sure would have been better than the Topps Now Review insert. The backs are also well done, with field dimensions, starting lineup and rotation, and team leaders. Here are the rest of the base cards from the pack. Now onto the goodies. I did run through my base stack to see if I missed an SP, I did not. And again I was a little bummed I didn't get a better sampling of the inserts, but from a set builders stand point it's probably great. Although anyone trying to build the insert sets might have to fork out a little more and try a lot harder. On my initial sort through the stack I missed this 150th Anniversary parallel. 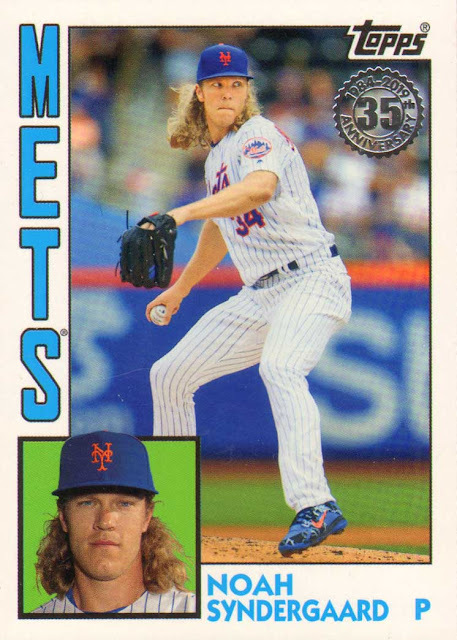 This parallel and the rainbow foil are not serial numbered in the base set, but every insert has a 150th Anniv. 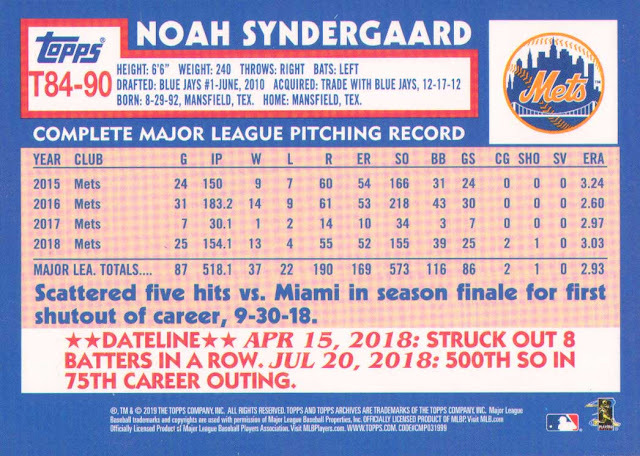 parallel numbered to 150. The foil for these cards is gold instead of the base silver. 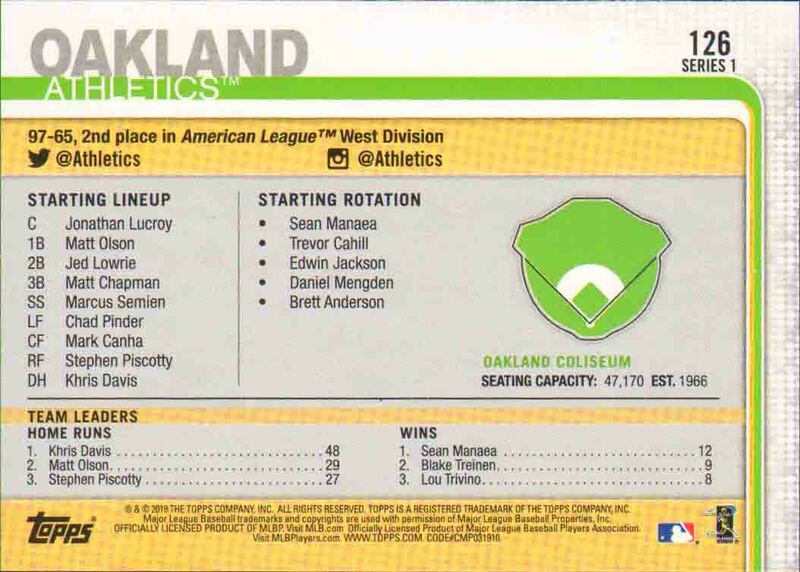 The insert set that wins the award for beating a dead horse is the Iconic Cards reprint set. 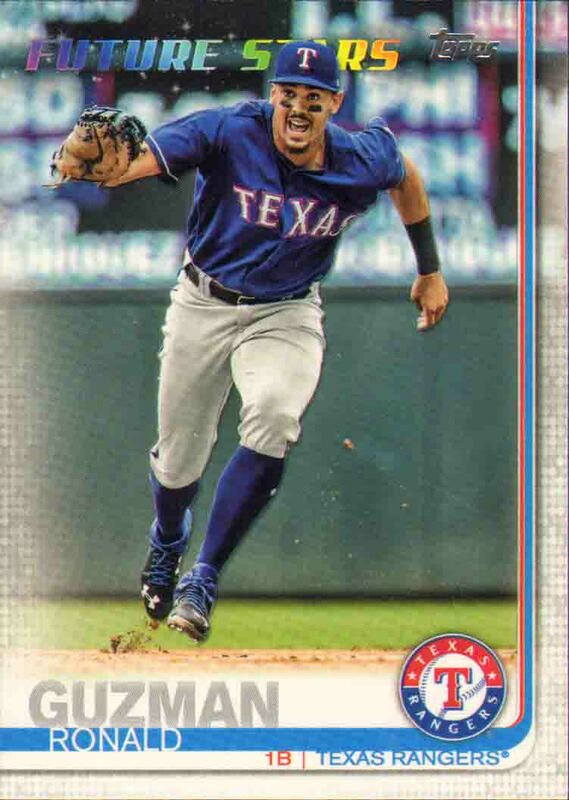 While I find the Topps Now Review the most unnecessary and worthless insert set of the product, I don't think anyone demanded Topps do more reprints. 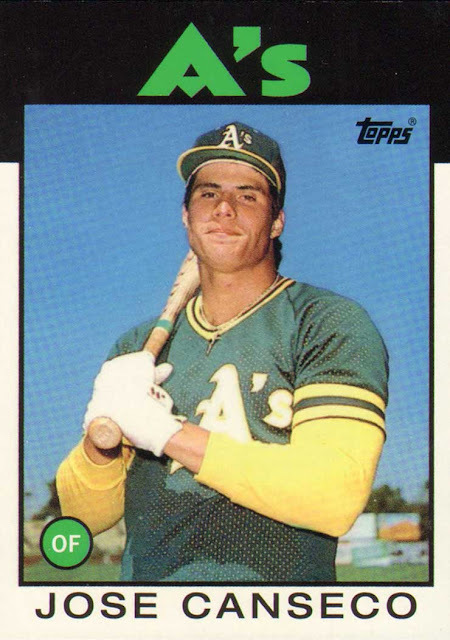 I got Jose Canseco's 1986 Traded rookie reprint. 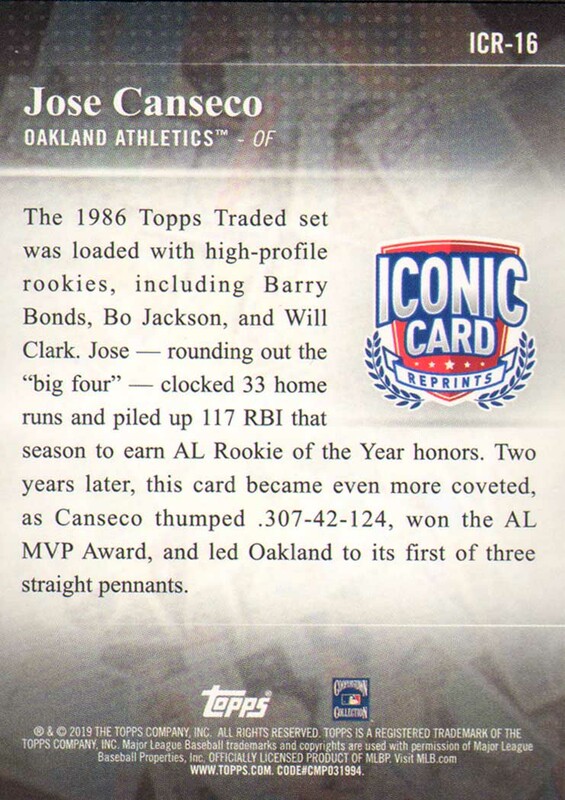 I'm not sure why Topps has this love affair with the 35th Anniversary of it's products. But this year we get a 1984 Topps tribute set. And I'm not complaining, I like the 84 set, just seems like we've been doing this for a while now. I'll give this set the runner up for beating a dead horse. I got Thor. 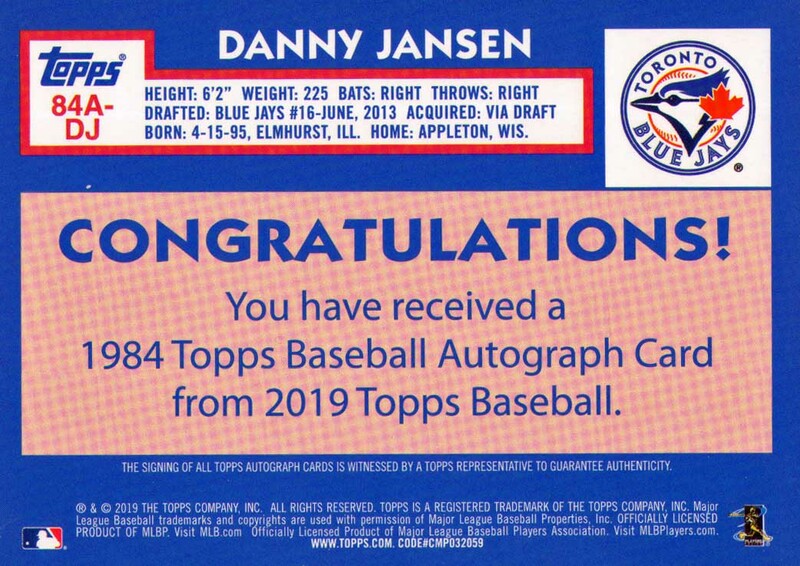 The other reason I opted to snag a Jumbo pack for my first taste 2019 Topps was the better odds for hitting one of the hits. I actually was hoping for one of the manufactured relics if you can believe that. The 150th anniversary medallions look sweet and so do the manu-hat relics. But I wasn't going to complain about hitting the auto in the box. HW come the two team cards use different stats for the team leaders? Tell me it's not a variation! Also, Jose Altuve had more extra base hits than Gurriel, but isn't listed for some reason. 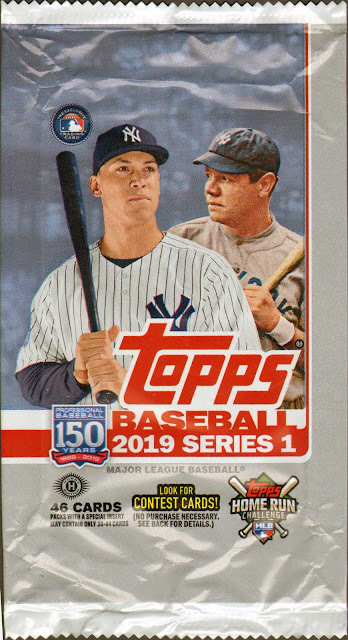 Is It me or Is Topps always commemorating a Yankee?Looks like this time around It's Babe Ruth?That aside,I'm on the fence about the design.It gives off a 70's ,early 80s vibe.I might pick up a pack or two one day. I went to baseballreference.com and looked at the Astros stats. You won't believe this, but Topps made ... gasp! ... and error! Gurriel did have more extra base hits than Altuve, but it was 47, not 37 as listed. Altuve had 44. Thanks for showing the cards. 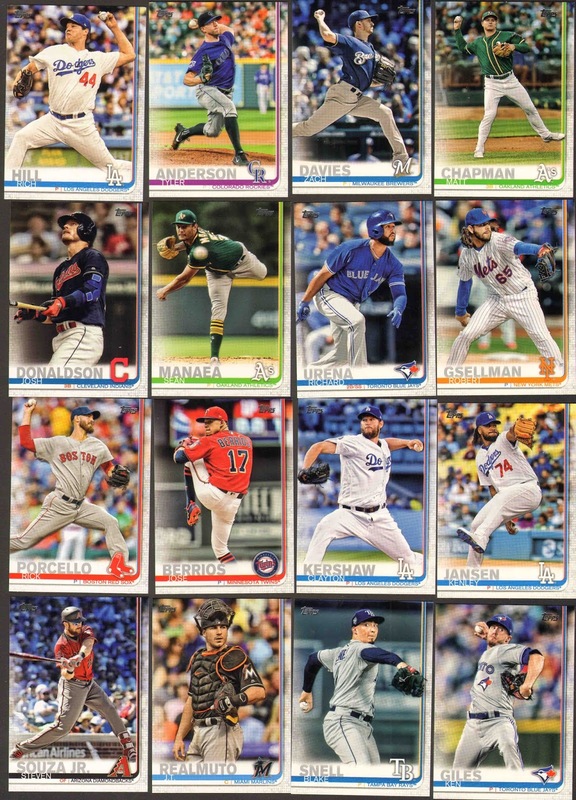 I see what you mean about the fourth border... the Snell and Santanta cards also break the border a bit. I like this addition to detail. I'm really glad that Topps is back to full career stats. 2019 Topps looks good. Ballparks are base cards, but two of the inserts are just reprints or Archives wannabes. Makes so much sense. Design isn't bad now that there are many more examples. Though I'm not sure if it's just the scans, but some of the reddish ones appear to have a funky cantaloupe color on the back. Disappointed that they've reduced the inserts in packs. Kinda misses the point. I am so looking forward to getting some of the new Topos cards. They do look sharp in the pictures. 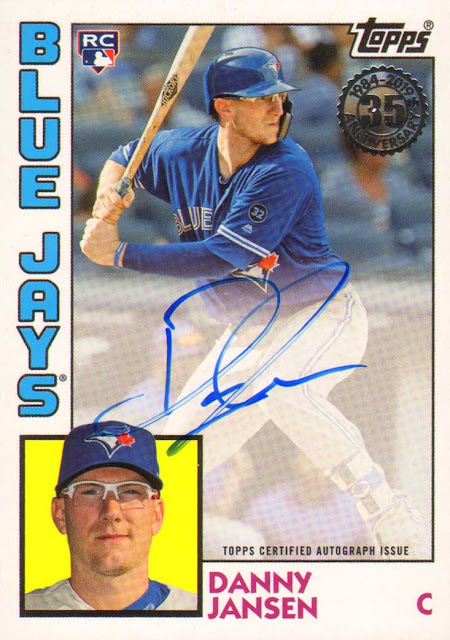 I cannot wait to add at least one of the Josh Donaldson cards to my Indians collection. 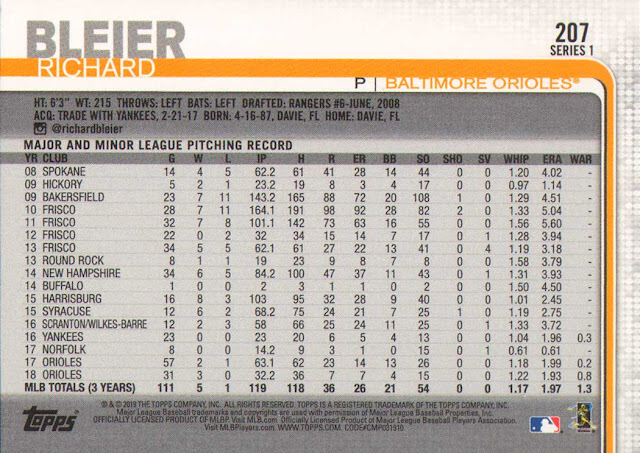 It may be the only card of him from his one month stint in Cleveland late last year. I think these look good. Reminiscent of the '82 set I think the design doesn't overpower the photos. 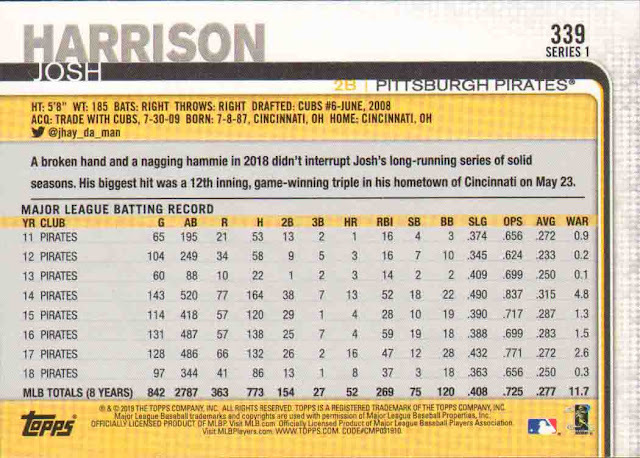 I agree as there is plenty of room to make the card numbers bigger and still show the series designation. Good cards and post. 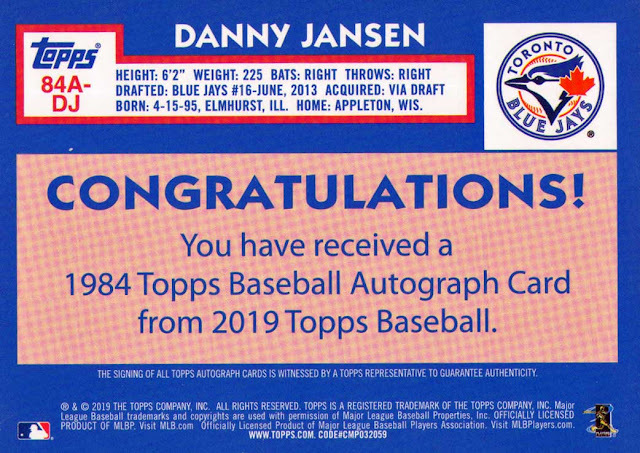 Congrats on the auto. A. I'm one of those collectors who secretly hopes Topps eases up on the production of inserts and parallels. I definitely enjoy them, but I liked it when they were tougher to pull. It made me appreciate them more. B. Those team cards are fantastic! Can't wait to get my hands on the Oakland Coliseum card. C. More reprint cards? Ugh. D. Congratulations on pulling an autograph! "but in hand the cards don't look half bad." Yea they look all bad. Notice this jumbo pack has 46 cards. Well last year jumbo packs had 50 cards. That is right you get less cards, but it is not just the jumbo packs it is all packs. Hangers now have 67 instead of 72. Blasters have 97 instead of 101. This is for all configurations of all packs. On top of less cards they are now charging more money.